Season appropriate name Happy Halloween MLP'ers! Really an eye candy, just those rocks around freaks me out a little bit. 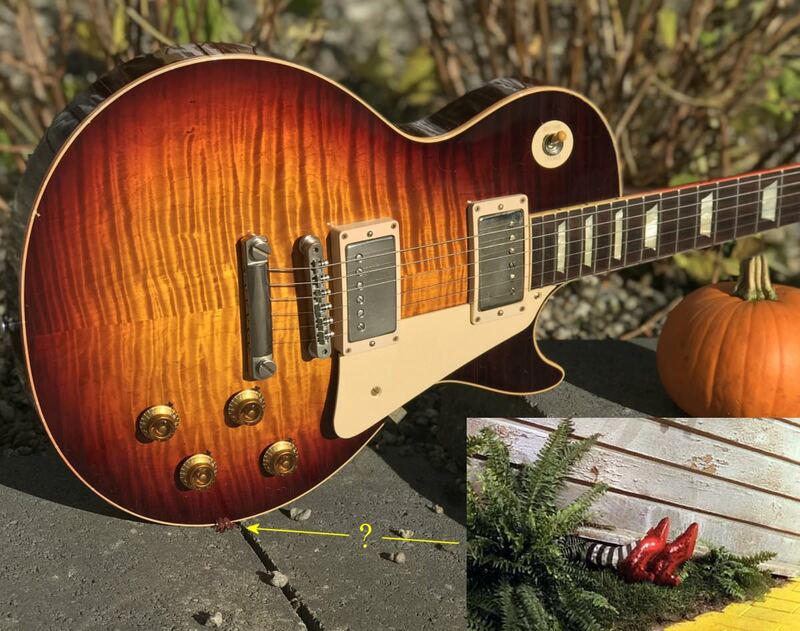 Great looking Les Paul, man. Looks like it's being loved as it should (noticed the binding bleed). Great shot! Love it. More LARGE photos! Awesome! Great pic! Thanks for sharing. Yes, please! Maybe #nofilter for the next pic, so we can appreciate it even more. Thank you! Beautiful guitar, but what the hell did it land on? Awesome! Thanks for the additional pics. Looks phenomenal!